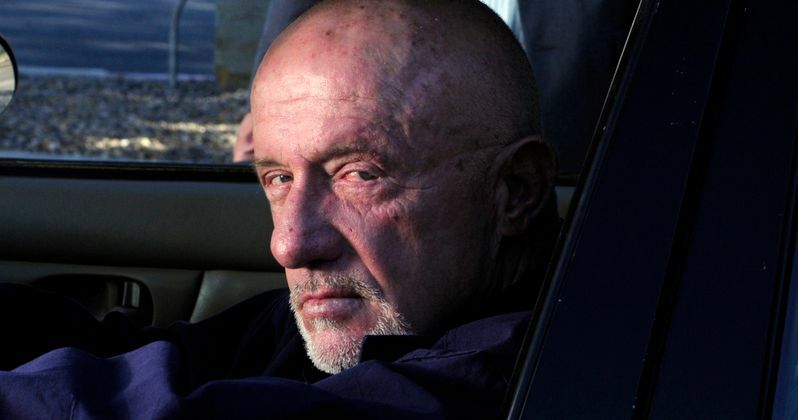 Earlier this month, Breaking Bad creator Vince Gilligan teased that Jonathan Banks may return as Mike Ehrmantraut in the upcoming spin-off series Better Call Saul. Today, Jonathan Banks' return has been confirmed, with the actor slated to be a series regular on the AMC drama series. Jonathan Banks debuted as Mike Ehrmantraut in the Season 2 finale of Breaking Bad. A former Philadelphia cop, Mike worked as the head of security for Gus Fring (Giancarlo Esposito) and his Los Pollos Hermanos fast food chain, while also serving as Gus' enforcer for his massive drug operation. He teamed up with Walter White (Bryan Cranston) and Jesse Pinkman (Aaron Paul) after Gus' memorable death in the Season 4 finale, before Mike was killed by Walter in the Season 5 mid-season finale. The actor earned an Emmy nomination for Best Supporting Actor in a Drama Series. Bob Odenkirk is the only other confirmed cast member for Better Call Saul. However, Vince Gilligan revealed in October that he wants to have Bryan Cranston and Aaron Paul come back for cameos as Walter and Jesse. Bob Odenkirk himself teased in November that the spin-off may be both a prequel and a sequel, showing attorney Saul Goodman's life before he ever met Walter White and Jesse Pinkman, and possibly his new life in Nebraska, where he fled to with a new identity in the penultimate Breaking Bad episode "Granite State". Vince Gilligan co-created Better Call Saul with Breaking Bad writer-producer Peter Gould. AMC announced earlier this month that the show will debut in November. Jonathan Banks can currently be seen on the NBC sitcom Community, and he also has a role in the New Line Cinema comedy sequel Horrible Bosses 2.